All kitchen and bathroom worktops that we produce are entirely unique. Every stone slab differs from the next, with its own intrinsic qualities. We are experts at understanding your needs and executing these in meticulous detail. Polished stone is the most popular finish for both bathroom and kitchen worktops, giving your worktop a glass-like appearance and feel. Some granites are resined during the polishing process to fill the naturally occurring micro fissures present within the grain. Honing gives the stone a matt finish rather than the polished glossy and shiny appearance. 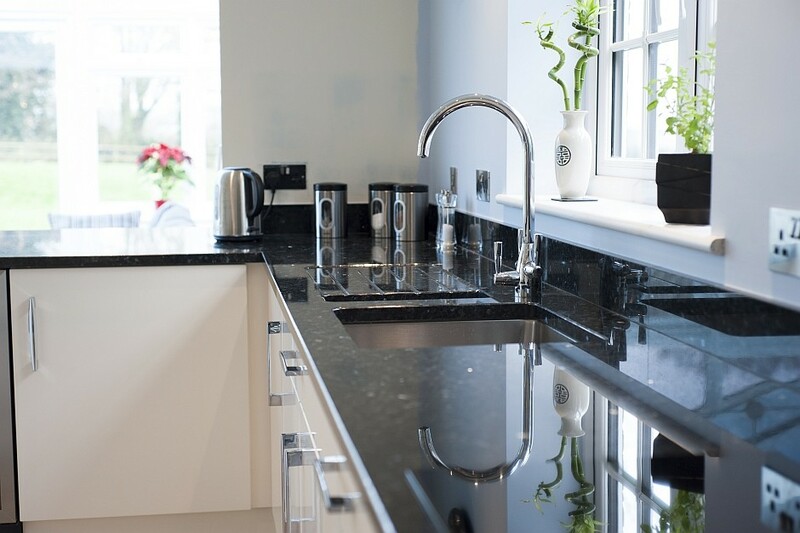 Honed black granite is often used in place of slate for kitchen worktops due to the overwhelming hardness and durability of granite worktops. This fine textured satin finish is ideal for those looking for an alternative to highly polished or matt surfaces. Created by brushing honed marble or granite with diamond brushes to obtain a leathery texture. 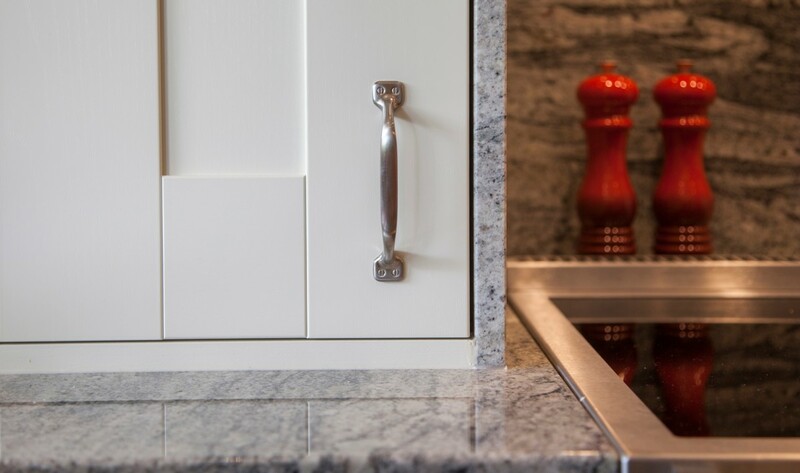 The edges of satinato kitchen worktops are usually supplied in a silky, semi polished finish. Antiquing the stone involves a mixture of flame texturing and diamond brushing to produce a coarser textured but still hygienic finish. 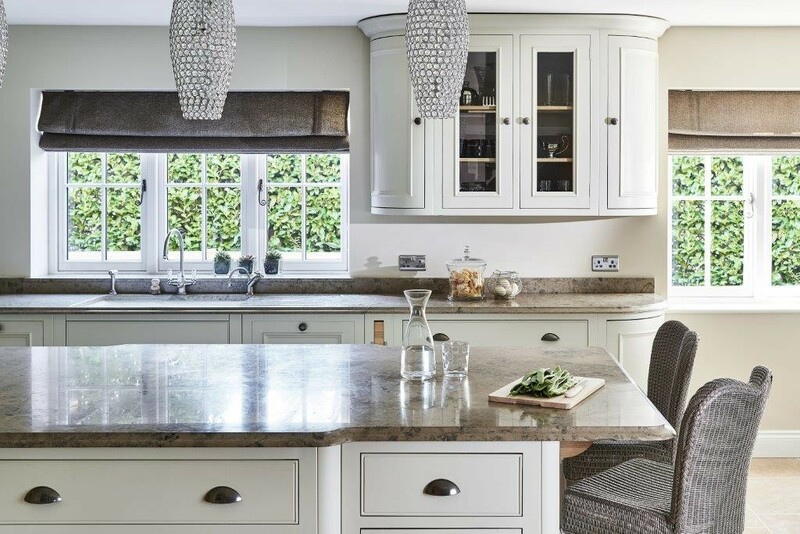 The edges of antiqued worktops are usually honed, which compliments the antique surface subtly.